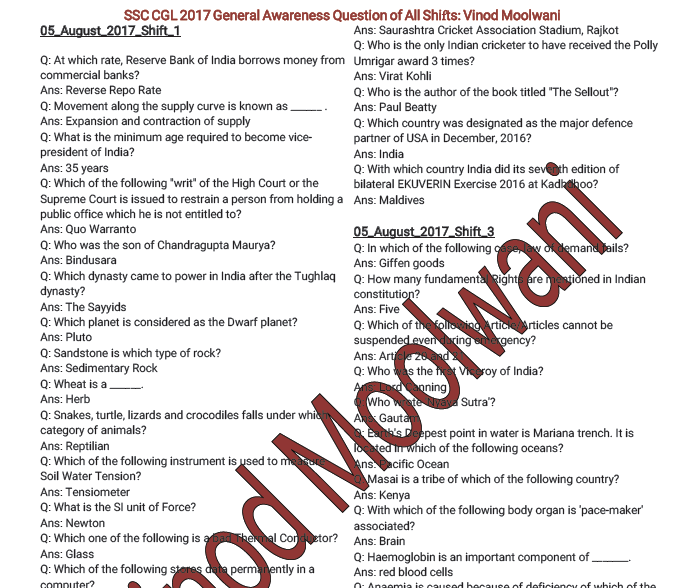 Dear Aspirants, we are sharing a General Awareness – GA Questions asked in SSC CGL 2017 Tier 1 Exam. This PDF is compiled by Shri Vinod Moolwani and credit goes to him. You are suggested to download pdf from the link provided given below.